I finally bought it. 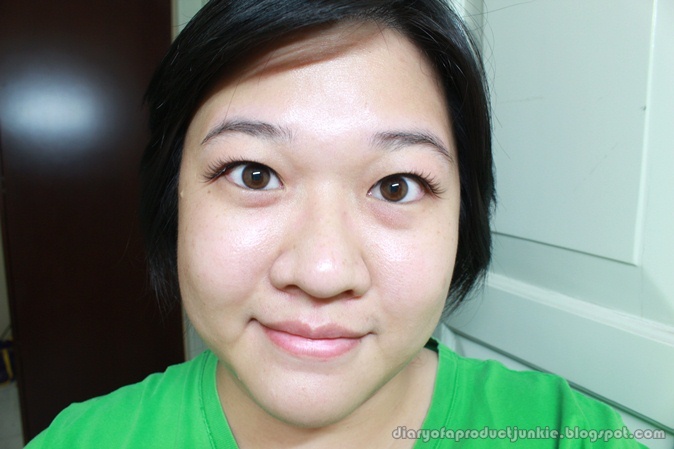 A set of Dolly Wink false eyelashes from the Otona collection. I didn't get one from the first collection because I find them a bit too dramatic. However, this collection has some pretty natural looking lashes, so I can't hold back and caved in. I just love the packaging of the eyelashes. Probably because of the Japanese origin, everything has to be cute, with all the flowers and whatnot. Another evidence of good advertising is they show you how the lashes are going to look once applied on the eyes. 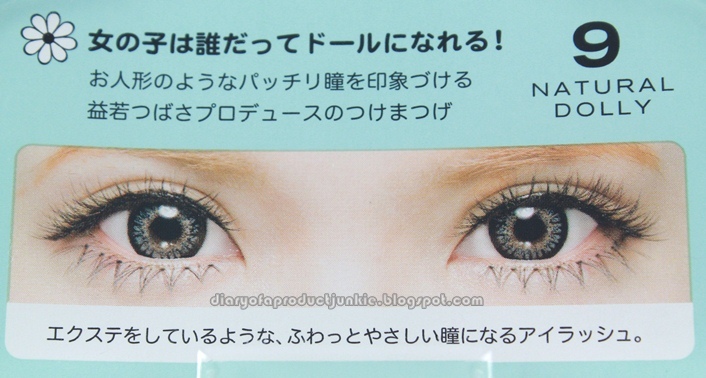 The set comes with two pairs of eyelashes and a tube of lash glue. For a Rp 170,000 eyelashes, they're quite expensive. However, I still haven't tested them yet, so it may be worth the money. The band is flexible and not stiff at all. It's super easy to remove them from their glued-on-casings. 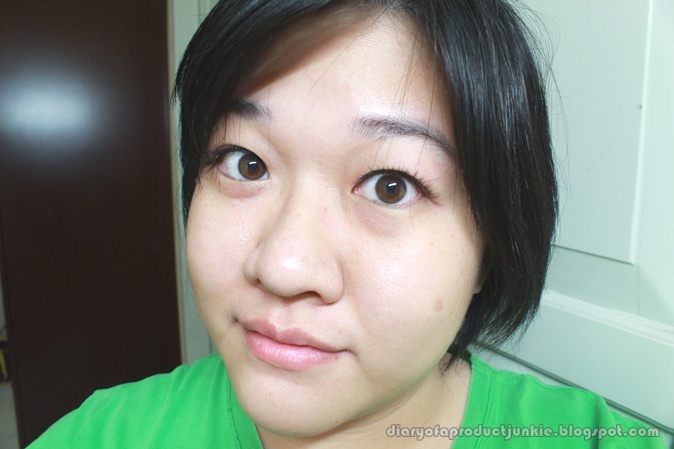 So, before showing you what I look like with eyelashes, let me show you my pathetic eyelashes. You can see the right eye (your left) looks like it doesn't have any eyelashes, but it does. It's just that the right eyelid is super droopy that the fold disappeared and 'eating' the eyelashes. Here is another one with a pedo smile, lol~ Notice I messed up the hair a little bit for effect, which turns out to be a fail, instead. I can imagine myself using this for an everyday look. waah bagguss bgt, natural yaa. jd pengen beli jg xD . thx uda review, tdnya sempet ragu mau beli. Dollywink otana rata2 lbh natural dan daily use.. Dibandingin ama versi lama yg puanjang bgt bulunya. Aku juga sukaa ama #9 ini.. Ga lebay ya fan dipakenya. Yg no 11 juga natural buat daily bisa..